It's called the Chloe' Amelia Bag, which has a classic, structured shape. We can dig it. This is a bag all ages of women can love. 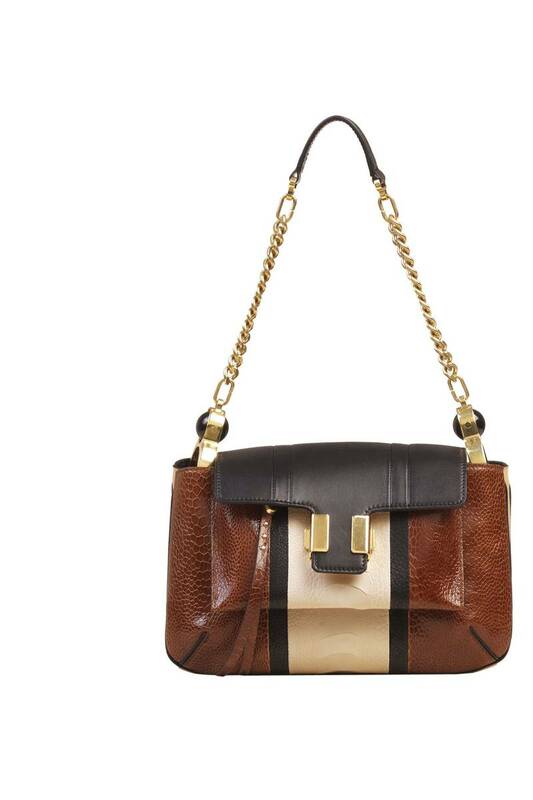 If you happen to be in New York go to Chloe's boutique in Soho, where this bag is exclusively available. It has ostrich skin incorporated in the design...makes sense, because the price is $4,400. Ostrich skin is popping up a lot in fashion lately. Would you buy as an affordable investment?